The Polk Museum of Art has an impressive collection of modern and contemporary art, African art, Asian art, Pre-columbian art, and decorative art. Polk Museum of Art (PMA) houses and exhibits two collections: PMA’s Permanent Collection and Florida Southern College’s Permanent Collection. On June 1, 2017, PMA affiliated with Florida Southern College. As part of the affiliation, PMA houses and cares for a portion of the Florida Southern College Permanent Collection. Polk Museum of Art’s Permanent Collection currently consists of five major collection categories: Modern & Contemporary Art, Art of the Ancient Americas, Asian Art, European Decorative Arts, and African Art. Because of its location in the heart of Florida, the Polk Museum of Art collection of Modern and Contemporary Art began with a focus on art made within the state; either by Floridians or made within Florida by transplants and visiting artists. The artists represented in the collection mirror the great diversity within the statewide population, including works by Cuban-American and other Latino artists, African-American artists and Asian-American artists. Since 1983, and as the aspirations and stature of Polk Museum of Art have risen, the scope of the collection has increased to include works by nationally and internationally recognized artists and Florida artists whose work has met the highest standards of artistic competency. Polk Museum of Art has now expanded its collection to include works by major artists throughout the modern era. Art of the Ancient Americas art was one of the earliest collecting areas adopted by Polk Museum of Art. 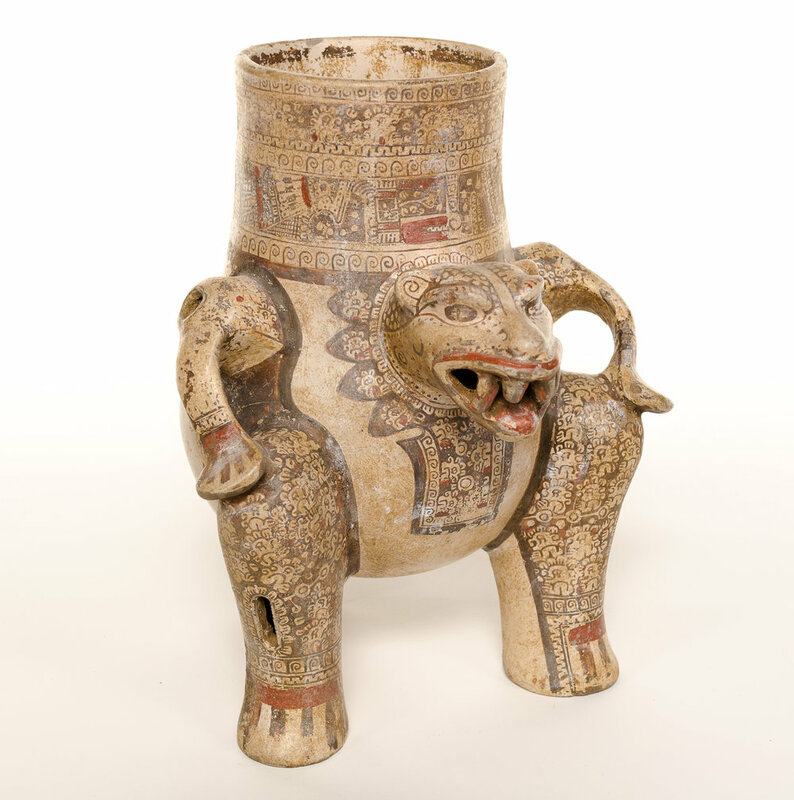 Initiated by a major gift from Winter Haven collectors Dr. David and Lucia Taxdal, this collection now features artifacts from many cultural groups in present-day Colombia, Costa Rica, Dominican Republic, El Salvador, Guatemala, Mexico, Nicaragua, and Peru. The objects date from c. 800 BCE to c. 1500 CE and include ceramics, textiles, stone carvings, and precious metal pieces. Hallmark objects are a male effigy figure from the Remojades area of Veracruz, a polychrome jaguar vessel from Costa Rica, and a Moche effigy vessel from Peru. A majority of the museum's Art of the Ancient Americas collection is on permanent display in the museum's Taxdal Gallery. Polk Museum of Art owns collections of Korean Silla period ceramic and metal objects that date from 300-900 CE; 19th and 20th Century Chinese and Japanese ceramics, ivories, and textiles; Chinese and Japanese scrolls; and Japanese woodblock prints. Of particular significance in the Asian Art collection is a portfolio of rare 19th-century Japanese woodblock prints by Tsukioka Yoshitoshi depicting the Thirty-two Aspects of Women and a group of 48 ceramic objects by noted 20th-century Japanese artists, which were donated by Reverend Muneharu Kurozumi, Chief Patriarch of Kurozumi-kyo Shintoism. In 2006, William D. and Norma Canelas Roth donated a large collection of Japanese textiles to further expand the museum's holdings of Asian art. This portion of the collection focuses on European ceramics from the 15th to the 19th century, English silver (primarily Georgian) and 18th and 19th century American silver. 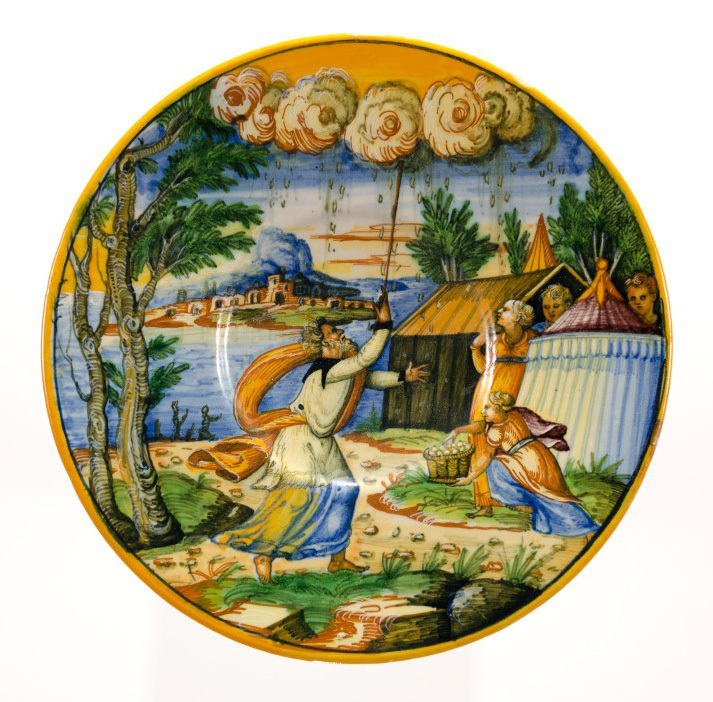 Highlights from this collection include Italian majolica from the 15th and 16th centuries, French faience from the 17th and 18th centuries, and over 60 pieces of English Georgian silver. In 2004, Norma Canelas and William D. Roth graciously gave Polk Museum of Art the seeds for a new collection of African art. This gift of 56 traditional pieces made from a variety of media include the Himba, San, Zulu, Ntwana, Swazi, Bhaca, Sotho, Ndebele, Thembu, Pedi, and Batonka cultures. This collection features newly-acquired works focusing on the human figure in American art. The collection is comprised largely of gifts arranged by J. William Meek, III and Barbara Hanson Meek or through the Harmon-Meek Gallery, Naples, Florida.